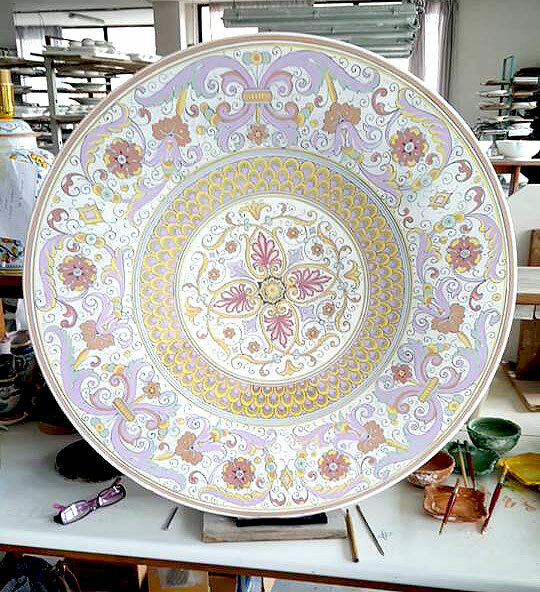 Beautiful and precious 70 cm plate with a decoration that belongs to the ancient tradition of Deruta ceramics. 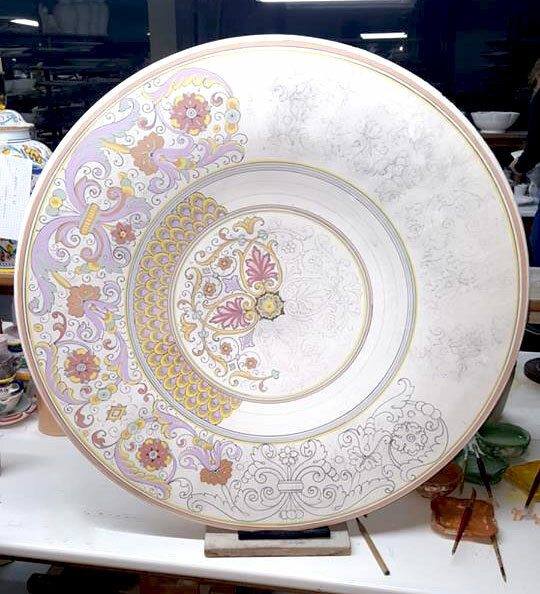 The dish is really well done and the dimensions are also respected. 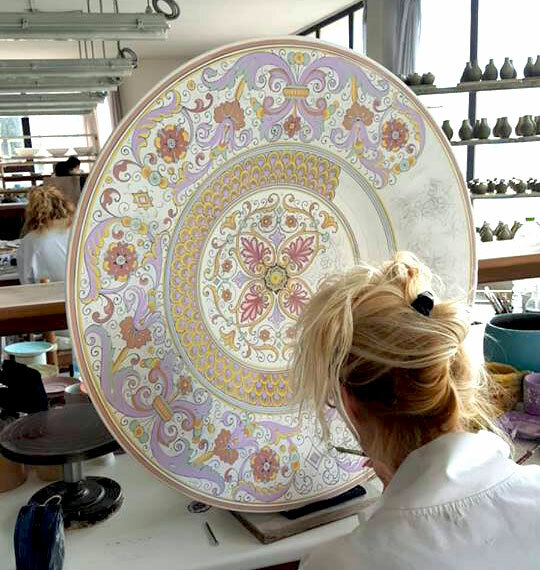 Beautiful colors and great refinement. I will definitely buy some more.